Trying out a new type of post here on the blog... a book review! I figure I read on a consistent basis, and people may or may not care what I have to say about some books, so why not go ahead and write some reviews? Let me know if you'd like me to keep posting these, and hey, if you've read the book I've featured below, please drop a comment and tell me your own thoughts. Just a warning now, I tend to read a lot of YA books, so anyone who reads those too will probably most "benefit" from my reviews! Basically, first and foremost, you want to know if I liked this book, right? The short answer is: yes. I enjoyed it quite a bit. It will probably make my list of my favorite books read in 2018. Wait, you want more than that? Oh, okay. The book is perhaps not as heavy on world-building as some other series are in their introductory novels, but I think that actually works here. 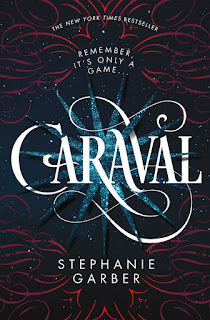 The whole point is that the Caraval is something of a mystery, so the readers are kind of figuring it out along with Scarlett rather than knowing more than her. The story doesn’t spend too much time in the world outside of Caraval, other than to reference the isles where Scarlett and her sister Tella grew up with their terrible father. We know there was some kind of war, but is it really important to know the details? Honestly, unless the isles are going to be the setting in future novels, with some kind of uprising against the government or something (please don’t do that), I don’t think so. The point is the small world that Scarlett grew up in was very much limited, so that’s the sense we as readers get of that world. Scarlett herself grows quite a bit throughout this novel, and that was, in my opinion, the point. She learns to take charge, speak for herself, and stand up to her father. She’s smart, but wasn’t always allowed to show that in her life because she was always trying to protect her sister Tella, who was much more of a wild child than she was. She allows herself to start having romantic feelings toward someone other than the man she was intended to marry, and part of the story is also about her allowing herself to feel these feelings without getting all guilty about it. There’s a moment in the story where she is supposed to reveal her biggest desire (or something close to that), and she says it’s finding her sister, but that’s not true. She needs to find herself and allow herself to love someone other than her sister, and in the end she can kind of admit that to herself. Aside from that, the story moves at a quick pace, with some interesting and unexpected twists. Though I of course knew that Scarlett and Julian would develop some sort of romantic connection, I wasn’t disappointed when they did. It happened slowly over the course of the book, and they were often contentious with each other, which always makes for a more interesting romance. 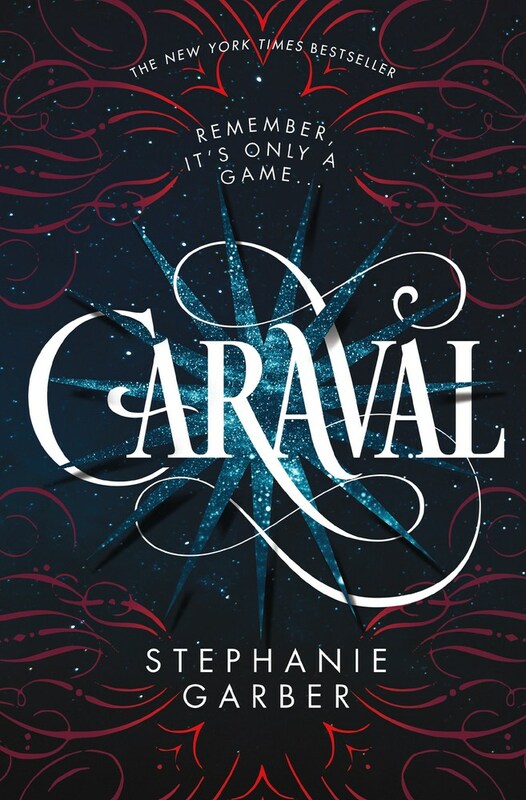 There are also some larger mysteries at work regarding the creator of Caraval, which aren’t all answered by the end of the book, which, duh, the book is the first in a series, so that’s not such a surprise. But it does leave you wanting more while feeling the story was also pretty complete at the same time. 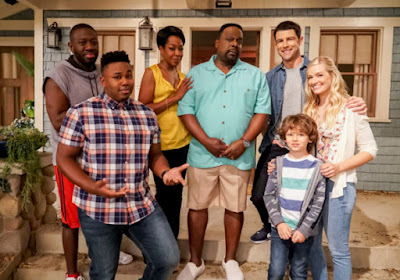 I will say, though, that I was not a very big fan of Tella, so I’m a little disappointed that the second book is going to feature her as the lead character. I had a feeling it might, since Scarlett has seemed to grow quite a bit by the end of this one, but… meh. I’m sure the writer will make her more likable than she was presented from Scarlett’s point of view, but it’s going to be tough getting started on the sequel with that in mind. But I do want to continue reading the series, which is always a good sign. Also, I find it pretty inspiring that Stephanie Garber finally was able to get a book published. I was reading her story after finishing Caraval, and she had a long and hard road to publication. Where some others might have given up, she didn’t, and I, as a reader, am glad she didn’t! I don't have much time for baking or tv these days, but I'm trying hard to make time for reading. So I definitely support the addition of book reviews! :) This sounds great, so I'm adding it to my list. Any books you’ve read recently that you really enjoyed/would recommend? I recently finished The War That Saved My Life. I would highly recommend. It is YA historical fiction and superbly written. I'm in the middle of Circus Mirandus and am very intrigued, but will save my final judgment until after I'm done. For adult books, have you discovered Naomi Novik yet? Uprooted was my favorite 2017 read - another one I'd highly recommend. I'll definitely add The War That Saved My Life and Uprooted to my to-read list! I've read the first Temeraire book, which I didn't quite get super in to, but will definitely check this other one by Naomi Novik out; I do love a good fantasy. Let me know what you think! I haven't read Temeraire yet, but R is in the middle of the series after loving Uprooted himself. I think he liked Uprooted better, so hopefully you'll find the same. Just be prepared for some sleepless nights. It is a REAL page turner.